The focus of this video is on Panelbase. A website you can join for free if you're in the UK. 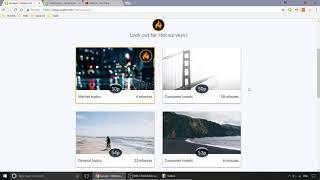 You get paid for answering surveys. Once you've earnt over £10 you can withdraw your money directly to your bank. If you wish to subscribe to future videos you can do so at YouTube, Vimeo and also see them on Facebook. Please go back to the main video channel where you'll find the links you need. Does swagbucks pay in cash? How old do you have to be to use Swagbucks? How many times per day should I pin on Pinterest? How do I get PrizeRebel promo codes for free points?